The move to privatize the second batch of airports in India has evoked varying responses from the public and the stake holders. Though it seems the Airports Authority of India (AAI) top brass is all for it, the staff of the Mini Ratna company have made it pretty clear that they are dead against selling out the profitable airports and are already in the warpath. But the most interesting response seems to be that of the Government of Kerala. To prevent the Thiruvananthapuram International Airport ending up in private hands, the govt has decided to take an extraordinary step – to participate in the competitive bidding to run the airport. Reports are already allover the media that the Government has authorized Cochin International Airports Ltd (CIAL), the company that had set up and runs the Kochi International Airport in PPP mode, to bid for the right to run the state capital airport. And quoting state government officials and CIAL staff, the media reports assert that CIAL qualifies to bid, as per the criteria enlisted in the Request for Proposal (RFP) released by AAI. But a careful study of the RFP makes it abundantly clear that CIAL does not have the PQs (Pre-Qualifications), at least for the time being. Though all the media reports say CIAL qualifies, because the company has the minimum net-worth stipulated in the RFP, that is Rs 10,000 million (1000 crore), there still is one more PQ to meet. (iii) 40% (forty percent) of Rs. 3500,00,00,000 (Rupees Three Thousand Five Hundred Crore) in case of 3 (three) Eligible Projects. This means, for CIAL to qualify, the total revenue they have collected from the airport business during the past seven years must be more than or equal to 35000 million (3500 crores) Rupees. But there still was a way out. Of these, only 1, 2 and 4 generate income. CIAL’s annual reports give the combined income of CIAL and these 3 companies for the past four years. (It seems those companies generated nil or negligible revenue before that period) . Now the total is 3200.53 crores – but still Rs.299.47 crore less than the required magical figure of 3500 crores. But even if the amount had reached 3500, there still was another obstacle. This means, for the revenue from the businesses from the affiliate companies to add, they must be at least Rs. 1400 crore (40% of 3500) each. But none of the three sub-companies of CIAL meets that criteria. So the answer is definite – if the figures given the annual reports of CIAL can be believed, the company simply doesn’t qualify. But it still is not the end of the road. As a bidder of good standing, CIAL indeed can apply for a relaxation in PQs. It is all up to AAI -they can lower the limits any time. And if Kerala Govt indeed is serious about the bid, they should be convincing the AAI to do that, instead of leaking incorrect info to the media, hoping that will boost their chances. 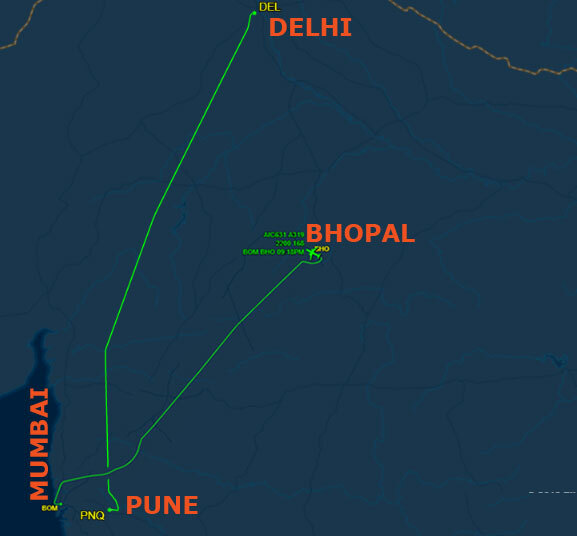 A near miss incident involving a Vistara Delhi -Pune flight and an Air India Mumbai-Bhopal flight could be one of the most discussed and widely reported aviation incidents recently in India. Though the report that was carried first by Times of India on 11th of this month and later taken up by most of the national and regional press has brought aviation safety to sharp focus again, it raises more questions on how safety issues like this are reported and interpreted by the media. And it is also of concern that the whole details of the incident were leaked to the press by one or two central government organizations and the press thereafter presented it to the public in the most unprofessional and unethical manner. On February 7, night an Air India flight (Mumbai to Bhopal AI 631, an Airbus A 319-112) was travelling at 27,000 ft towards Bhopal. A Vistara flight (UK997, Airbus A320-251N) that was inn the same skies flying towards Pune from Delhi at 29,000 feet suddenly started descending to 27,000. The astonished area controller asked the Vistara why it left the assigned level of 29,000 and going to 27,000 and the pilot of the craft retorted that she was told by the controller to do so. The argument was heard by the AI pilot too, because She too was tuned to the same frequency. Then to her horrors, the AI commander noticed the Vistara flight speeding towards her flight just 2.8km away. Then the Traffic Collision Avoidance System (TCAS) of both the aircraft issued a very urgent collision warning (resolution advisory). 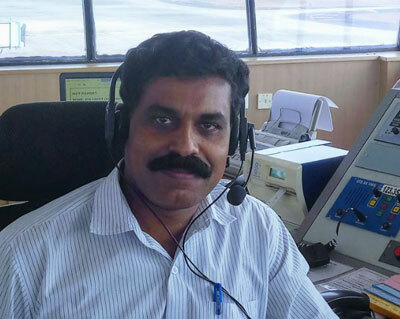 The warning said, “climb, climb” to the AI flight and the pilot climbed up and turned right immediately to fly clear of Vistara, to escape the doom that was imminent. 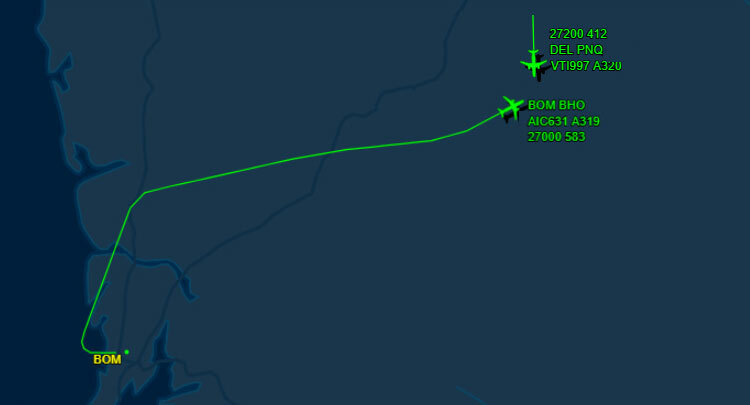 The level difference between two flights was just 100ft before AI flight climbed up, as per TCAS. When their paths crossed each other , the level difference was just 600ft. Whereas, the allowed minimum vertical separation was 1000ft. Both aircraft were maintaining their respective levels- 27,000 and 29,000 feet – cruising along peacefully until the Vistara started descending from 29,000 to AI flight’s 27,000 level. It was the presence of mind Air India pilot that saved the lives of as many as 271 people on board of both aircraft. She acted precisely and swiftly when faced by a life threatening eventuality. But for the AI pilot, the two aircraft would have collided each other, face on. Direction of the fights: The aircraft were not traveling face to face towards each other. At the time of conflict, the angle made by the flight paths of two aircraft were apporx 120 degrees – not 180. See the picture. No level flight: After taking off at 7.40 PM from Mumbai airport, the Air India aircraft was still in the climbing phase of the flight (It had to reach the cruising altitude of 33,000ft within a few minutes) and so it was gaining around 1000-1500 feet per minute, consistently. And the Vistara flight, that had left Delhi 6.50PM was steadily losing altitude for a landing at Pune airport at 8.52PM. Bothe aircraft were NOT staying at any particular altitude. One was climbing, the other was descending. See altitudes of Air India flight 631 was maintaining before and after the incident (From 23,600 to 28,300 ft) (Log from flight tracking site Flightaware). So here we have two flights traveling at two level s heading to two destinations and whose flight paths were to be crossed at some point of time. And just as it was the only logical step, the descending aircraft was told by the Mumbai Area Control to stay above and the climbing one to stay below, so that they could be allowed to pass each other at the first safest point of time when the vertical and lateral separation between the two was safest. And to repeat that again, it was only natural for the Vistara flight to climb down sooner or later. The pilot who braved odds to save lives? Not really. The pilots of both the aircraft were just obeying the orders issued by the computer of TCAS of their respective aircraft. The AI commander climbed up because the TCAS decided that was better and ordered her to do so. Just like the Vistara co-pilot, who lowered her aircraft as per the TCAS command. And there was nothing marvellous in these actions either. All the pilots are thoroughly trained to do that and they are bound to follow the exact procedure. And the decision maker is not the pilot, but the TCAS computer. The course of action is decided collectively by the TCAS computers of both the planes after assessing the speed, altitude, mode of flight and bearing of both the planes. And when the computers issue the verbal command ( to climb or to descend, mostly) the pilots have no choice but to obey blindly. A certain doom scenario? The chances of a collision was less, though the TCAS had ordered the pilots to climb/descend immediately. Even if the planes were proceeded in the same levels maintaining the same speed, the chances of actual collision were remote. See the pictures that show the full flight paths of the aircraft and the enlarged view of the point where the Resolution Advisory was given by the TCAS around 8.30pm, 7th February. One aircraft was at 27,000ft and the other was at 27,100ft altitude. The speed of the Air India flight was 1080km/hr. The Vistara flight was covering 763 km in an hour. The lateral separation between the flights was 2.8km. The bearing of Vistara flight was 177 degrees and that of AI was 74 degrees, approx. If we draw two lines extending the path of both the aircraft, it can be seen that they would cross each other at a distance of 2km (down) from the present position of Vistara fight. To reach that point, the time taken by Vistara would have been 9 seconds. But during those 9 seconds, AI flight would been moved 3.9km away from its present position. So there were no collision going to happen. But then what about the TCAS urgent warning? Can computers go wrong? The computers of course were not wrong. Only that, these systems always incorporate a factor of safety in all calculations. An extra allowance will be added to all the distances and heights. And that is how it should be. In the sensationalized report of Times of India, this character got only a passing mention – but that was damaging enough. According to the report, the AC was taken by surprise ‘seeing’ the Vistara fight at level 271. The question the AC reported to have asked the Vistara pilot – “why are you here?”- betrays his total lack of control over his job. A person constantly monitoring the flight can’t be taken off guard like that. So he indeed was a villain, though not the main one, in the story. And about the main one, there were enough ingredients- lucky for the reporter- to spice up the whole thing: the co-pilot was a woman; she was alone; her Commander was not anywhere near at the critical moment. A young, in experienced, ignorant girl of a pilot left alone to find her way out of the mess she had made was the perfect dark background for the heroine of the story. And what a heroine it was to be ! – A mature, elegant woman in her late forties with 20 years of flying experience under her belt, the Air India commander was the perfect picture of the cool, composed superwoman who averts imminent disaster at the nick of time. And it will be highly inappropriate to end this note without mentioning an effort actually made by the ToI reporter to guess why there was a ‘confusion’ between the Vistara flight and the AC. So the assumption is that the AC got confused between the two woman voices. It is sad that the reporter didn’t pause for a second to think about the numerous male voices an AC hears throughout the day from the cockpits of so many flights, without confusing among them. Before writing down this silly guess, the reporter should have tried to understand a basic norm too of radio communication : Before the start of each instruction, the controller has to spell the call-sign of the aircraft he is giving the instruction. And when the pilot replies, she/he also has to say his call-sign at the end of his words. And above all, the aircraft is constantly being monitored visually on the radar screen, by the AC at the Area Control. How the details of the incident found their way to the media is intriguing, to say the least. In both the reports, there were details that were known only to the people directly involved in the incident and to the officials of DGCA who had received reports from the parties involved – the facts that the Vistara co-pilot and Air India commander were women and the Vistara male commander was taking a toilet break during the incident are examples. The AC , AAI and the Vistara crew would not have leaked the info, for obvious reasons. The remaining parties are the Air India crew and the DGCA. Given the heroine status given to and readily accepted by its senior pilot, Air India of course is the chief suspect. And they couldn’t have done that alone. The other half of the story unfolded the night of 7th February aboard the Vistara flight must have been filled in by someone who had access to the report Vistara sent to the DGCA. Why should someone from Air India and/or DGCA take the pains to give these details to the press? Not for the sake of air safety, that is obvious. If that was so, the report would have been much more accurate and the day-two story glorifying the AI commander would never have happened. The ongoing investigation by Aircraft Accident Investigation Bureau will serve its purpose fully only if the answer to the above legitimate question too is found out. 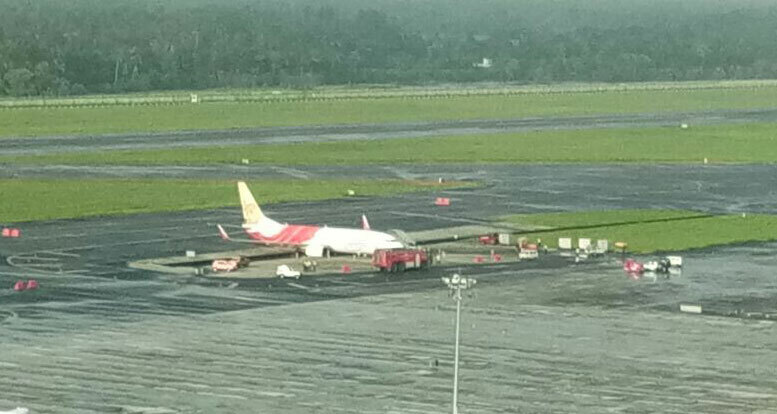 An aviation hazard, known as “Sea of Blue Effect” combined with the fatigue of the cockpit crew could be the reason of the taxiway excursion by an Air India Express flight during the wee hours of 5th September at Kochi international airport. An analysis of the incident done with the help of aviation experts having many years of experience with Airports Authority of India and Air India excludes all possibilities, but this phenomena, which though specifically mentioned in the Aerodrome Design Manual (Part IV) released by International Civil Aviation Organization (ICAO), is rarely documented and reported in India so far. On September 5, the Air India Express Abu Dhabi-Kochi flight 452 landed at Kochi International Airport at 2.20AM on runway 09. After landing, the aircraft was supposed to exit the runway from eastern end and enter the taxiway through link C4 and then go to the apron of the new terminal T3. To reach the designated apron, the aircraft was instructed to exit the taxiway using the link-taxiway F, the second link to the right. Everything went well till the aircraft reached near the exit G. As per the reports of the incident, the aircraft took the right turn 90m before the actual exit F. So, instead of entering the apron, the aircraft crossed into the space between link taxiways F and G and its rear wheels got caught in the 1m wide open drain that runs parallel to the taxiway. While the wheels descended into the drain, the bottom side of the two engines of the Boeing737-800 aircraft hit the paved surface beneath. The nose-wheel assembly too damaged as the most of the weight of the aircraft got suddenly transferred to it. To see how an experienced pilot could cross into an open space mistaking it for the link-taxiway, we may visualize what the pilots of the aircraft were seeing from the cockpit of the aircraft during its movement from the eastern end of the taxiway towards exit F.
When the aircraft moved forward at a speed of 18knots, the pilots must’ve been seeing clearly the taxiway stretching ahead. The thick yellow line marking the centre-line of the taxiway too must’ve been visible, thanks to the edge lighting. A little farther ahead on the right, there were five links-taxiways perpendicular to the taxiway that connect the taxiway with aprons. These links -denoted by Roman alphabets G, F, E, B & A- too had blue edge lights. When the aircraft initiating the 90 degree turn to enter the link-taxiway, the glow of the blue lights fitted along the edges of the five parallel exit paths can together appear as a huge, rectangular illuminated surface. This optical illusion is the Sea of Blue Effect. It occurs because blue light that travels as shorter, smaller waves gets scattered more than other colors. The light thus scattered from the edges of the five link-taxiways spaced just 125m apart can easily overlap, hiding the open land between them. So the chances are abundant for the pilot either to totally miss the actual exit that got submerged in the ‘blue sea’ or to confuse between the exit (link-taxiway) and the area between the link-taxiways. And it seems Flight IX452 did commit the second mistake- it turned 90 degrees to the right through the open area between G & F links-taxiways, instead of entering the link F.
But why only this pilot? Many cockpit crew before him too would have got confused, no doubt. Only that they all could overcome the illusion just in time. And the reason why this pilot succumbed to the playing-of-tricks by blue lights could be the very timing of the flight. IX452 that landed at 2.20 am at Kochi airport was the same aircraft that flown from Kochi to Abu Dubai as IX419 the previous evening. IX419 that took off from Kochi at 5.20pm had landed at Abu Dhabi by 7.50 pm. Within one hour, the aircraft departed to Kochi as IX452, operated by the same crew. That means the pilot who mistook the open land as a link taxiway was continuously flying the aircraft from 5.20pm to 2.20 am, but for a one hour gap from 7.50 to 8.50pm. And it may also be noticed that the taxiway excursion was happened 20 minutes after the beginning of the Window of Circadian Low. (WOCL, the interval of time from 2.00am to 6.00am, is a period during which people working through night can experience maximum fatigue). The end of the flight coinciding with the WOCL is more dangerous. Seeing that the duty time is almost ended, a fatigued person’s all urges will be to do away with it as soon as possible. It was only natural for the pilot to become more impatient seeing he is almost there- a turn and then the apron and the end of the journey. And this fatigue-triggered impatience could have made him an easy prey of the Sea of Blue illusion. It is understood that the visibility at the airport during the time was more than 800m. For an aircraft moving at 20kmph, this visibility is more than enough to see the turns & obstructions ahead. Obstacles happen to be on the runway can cause the nose wheel lose control, while going over it. But nothing of this sort was reported. Faulty nose wheel moving erratically, resulting in unintentional right turn. This indeed is a chance, especially for this particular aircraft. On March 11th 2014, while operating as IX-193, this VT-AYB aircraft had its nose-wheel damaged during taking off from Lucknow for Dubai. 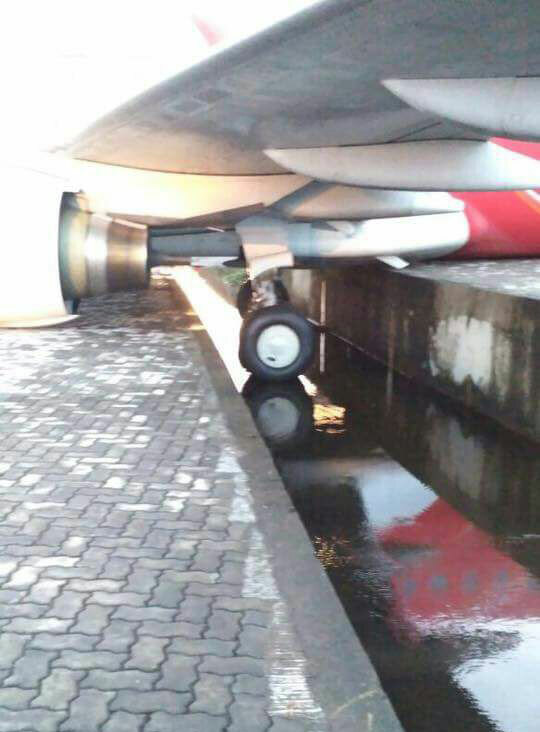 Seeing parts of nose wheel gear on the runway, the ATC called the aircraft back. But the damage was repaired soon after, and the aircraft was flying all these three years after the incident. when there is lots of rain water on runway layers of water can accumulate between the wheels of the aircraft and the runway, leading to a loss of traction and loss of control. But the rain was not that strong Tuesday night, for this to happen. Moreover, the plane’s speed was only around 20kmph. Did the pilots try to land at three airports, one after another? With the announcement made by Najiv Razak, the premier of Malaysia, that “flight MH370 ended in the southern Indian Ocean”, let us hope the prolonged suffering of the dear ones of the people aboard the flight would find a definite closure. Because, most of the hijack and other related conspiracy theories were in fact giving the family members a false sense of hope. When it was only common sense to conclude by the end of first week of the missing of the aircraft that the plane and its passengers were no longer alive, Nations, especially Malaysia, seemed to be stupefied by the avalanche of theories, counter theories, (false)leads, analysis and suggestions. The plane and all its passengers are lost in Indian Ocean. That means a crash. The investigations of all the past air crashes had proved one point irrespective of the widely varying nature of the tragedies: Crashes never are caused by a single event, unless they are executed by people. They would always be the ultimate conclusion of a chain or chains of events. Only when there is definite, well planned and direct human intervention that the pattern of events that had led to the ultimate crash would look simple. Like a straight line. A hijack is such a straight line. A pilot-suicide-incident is another. The final picture drawn by a series of unintentional occurrences that had culminated into a catastrophic event will always look too complex. Just like it is in the case of MH370. Though the very complexity is the biggest give away of an accident, it is an ideal breeding ground too- for theories to sprout up: Again like what happened these days. And just like it is for all cascading failures, it would be wise to start the analysis at the beginning. The complexity would only have started to go up at that point. From the full transcription of the communication between the pilots and the ATC from 00:36:30, it is evident that there were nothing abnormal about MH370 till 01:07:00. Though it was suspected otherwise, it was later proven that the ACARS might have stopped working after the, “All right, Good Night”. Just as it had been explained in the post published March 18, the highly erratic and seemingly complex flight path the plane followed from 1.21 to 2.40 am (as corroborated by the eyewitness accounts), indicate an on board emergency that manifested suddenly, after 1.21 AM. The U turn, the climb to 45,000 ft and drop to 20,000(if primary radar readings were exact), the zig-zag path followed- all might have been the external manifestations of the desperate attempts by the humans inside to tackle the problem. The widely shared reasoning put forward by Mr. Chris Goodfellow, who has been a pilot for 20 years, was the only other voice along this line. He said the aircraft might have been looking for an airport to land after undergoing a massive system failure caused most probably by a fire on board. The aircraft of course might have been looking for an airport to land. But unlike what Mr.Goodfellow had suggested, the airport MH370 so frantically was flying to might not have been Langkawi. Langkawi, around 380 km from the eastern cost of Malaysia and located on the western side, was so distant an airport to try for an emergency landing. Actually, the distance to Kuala Lumpur airport from the east coast is less- only around 275 km. 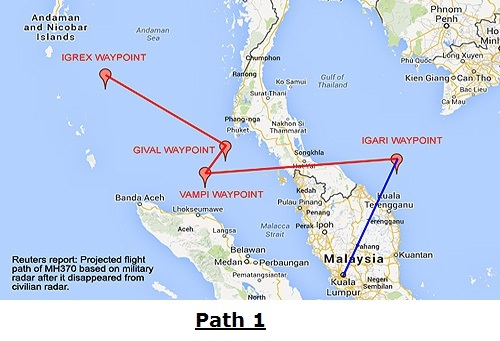 So if MH370 was indeed was looking for airport, it would have done so for an airport at a distance less than 275 km. (The length of the runway was of not that importance. B777 could land on runways as short as 6000 ft, with a little expertise). After reaching back the east coast, the pilots would naturally have tried to locate and land at the nearest possible airport. And there indeed were TWO airports so close to Marang and Bachok, where the aircraft was spotted by local men that night. 2. Sultan Ismail Petra Airport (WMKC), Kota Bharu. The distance from Marang, where the first group of eyewitnesses seen the aircraft, to Sultan Mahmood Airport, is less than 50 km. 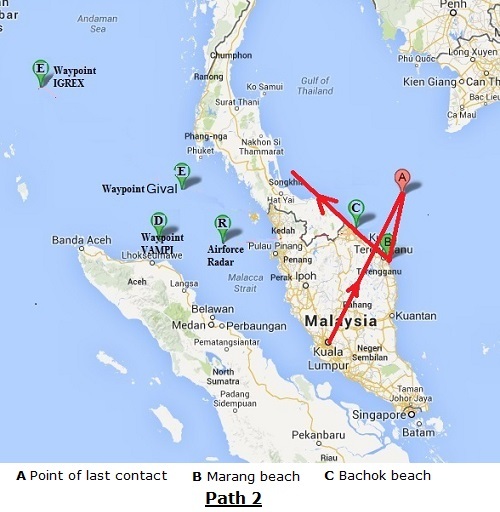 The distance from Backhok, where the second eyewitness seen the craft , to Kota Bharu airport, is just around 25 km. The most significant fact that support this theory is the seemingly erratic path chosen by the pilot. After reaching the east cost, it simply turned north west. Eyewitness 2 at Bachok said he thought the craft was going towards the sea. Need not had been. After an attempt to land at Sultan Mahmood Airport near Marang failed , the pilot(s) must have decided to try , Sultan Ismail Petra Airport Airport, near Bachok, roughly 150 km away. 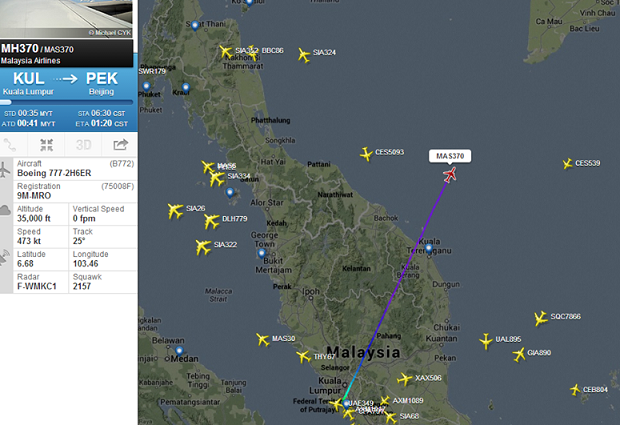 The seaward flight must’ve been to aim for the Kota Bharu airport. The reason for aborting the landing at both the attempts is evident, though. The operating hours of Sultan Mahmood Airport is from 7.00 AM to 10.00 PM and for Kota Bharu, it is 6.00 AM to 11.30 PM. It of course is unlikely both the pilots were ignorant of this fact. But the situation- whatever that could be- that might have been worsening by each passing seconds, might have urged the crew to resort to this desperate measure. But without any visual indications of the runway and with no means left to communicate with the airport, MH370 would have ascended again to the gloom of the night. If MH370 had tried to land at two airports that were known to close before 11.30 PM, the on board emergency would have been that serious, and fast escalating. So the chances are remote for the aircraft to have tried for another airport. But, if the location where the crash occurred was indeed Indian Ocean, the aircraft might have crossed the Peninsular Malaysia. That is, again a U turn after trying to land at Kota Bharu Airport. If MH370 indeed had flown towards the western coast, that might have been to try for the third time, to land. Which would have been the target airport this time around? A big airport, not too far from Kota Bharu and one with night landing facilities. The nearest airport that match the requirements was Penang International Airport (WMKP). The runway (4/22 ) length is 3352 m. The airport functions round the clock. The distance from Bachok (or Kota Bharu Airport) was less than 230 km. (To Kuala Lumpur, the distance would have been around 340 km). Only after the CVR and DFDR are recovered, these assumptions can be proved, of course. And for the relatives of the 239 people who were aboard the flight, the answer to ‘how’ matter so little. Even then, picking up the thread of reason, however feeble and slender it is, from among the misleading myriads of facts, fiction and hearsay, is always worth the attempt.